The holidays are the happiest times of the year, with food, fun and family taking center stage as you celebrate all the connections that are most important to you. You are probably thinking about how to pull it all together and get it done, but you may not have anticipated the things that can go wrong. While the food will draw your loved ones together, it also acts as a tempting beacon for pests, and no one wants their Thanksgiving dinner ruined by bugs or mice. 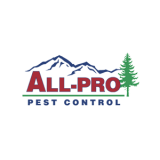 Luckily, there are things you can do to keep your holiday pest free. The best thing you can do to keep pests out of your kitchen is to keep it clean. Any time there are food particles in your space, mice and bugs will find their way to the area. While the feverish preparation for Thanksgiving can be a bit of a mess, cleaning up as you go will eliminate potential food sources for pests. Food that is in hard containers like bins or cans is more difficult for pests to access. While a mouse or rat can easily chew through a cereal box, items in more solid containers are difficult for rodents to penetrate. Repackage boxed items in plastic food organizers to keep pets from using your pantry as their own personal buffet. Most people don't realize how easily pests can access their private living space. Mice are notoriously flexible and can squeeze into a hole that is as small as a pencil eraser. Any space around pipes or under doors is a highway to heaven for pests, so give your home a thorough inspection before the big day. A can of expanding foam or caulk can easily close off access points in your house. Pests can hang out in your home for a long time before you see visible signs of an invasion, so be proactive and keep your eye out. Commonly neglected areas are where unwanted guests usually hang out, so check the corners of your cabinets, the bottoms of occasionally used drawers and in the recesses of your pantry. Do this several weeks before your special meal so that you have time to treat the problem before your guests show up for Thanksgiving dinner. Thanksgiving is one of the most feel-good holidays on the calendar, and almost everyone looks forward to it each year. While you can certainly put up with your quirky family, inviting pests to dinner is not an option. Anticipating potential pest problems beforehand is the best way to ensure that the heated football game is the most memorable part of your dinner.